Today is a great day. 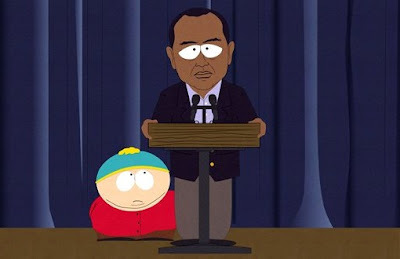 South Park has returned for the newest series, kicking off with an episode that seems to fully exploit Tiger Woods. And EA Games. I am yet to watch it, but this clip clearly looks like Matt Stone and Trey Parker have outdone themselves yet again. South Park Season 14 premiered last night and the new episode can be seen at Xepisodes (which I could not have lived without all these years).